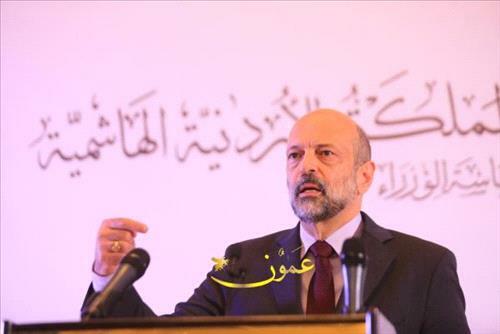 AMMONNEWS - Prime Minister Omar Razzaz on Tuesday said that Jordan takes pride in its youths' innovative and distinguished capabilities and potential that have been evident both regionally and internationally. During a visit to the King Hussein Business Park to meet emerging companies operating under the umbrella of the Entrepreneurship and Business Association (EBA), he said: Jordan is proud that 26 emerging Jordanian companies were among the 100 Arab companies chosen by an unbiased Arab party to participate in the World Economic Forum on the Middle East and North Africa (WEF) that took place at the Dead Sea this week. Razzaz commended the high Jordanian IT product, as the Kingdom has become a source for providing services in the IT sector and other sectors, pointing out to the increase in patents, awards and certificates of appreciation secured by the Kingdom. He emphasized that the most significant certificate of appreciation is the arrival of foreign investors to invest in Jordanian companies, which indicate the country has distinguished abilities in this field. President of the EBA, Mohammed Shaker, highlighted the goals of the association, established about 9 months ago, to bring together entrepreneurs and pool their efforts in entrepreneurship, business and investment.